I’ve seen most of them now, from the mermaid one, to the one with long hair who lives in a tower and falls for a cocky bad boy who eventually comes good. Maybe this is the real Fantasy element in these films because in my experience most bad boys eventually wind up in jail after cultivating an angry self centred lifestyle , leaving the deluded princess in a right mess questioning her life choices. Guess she was lucky. Anyway point is they were nice relaxing times. Ones for a while, I thought we’d never see again. Last Saturday another visitor left, so we are now back to just the six of us (still feels weird saying that). And towards the end of last week we started the babies in the routine of going to bed at half seven. 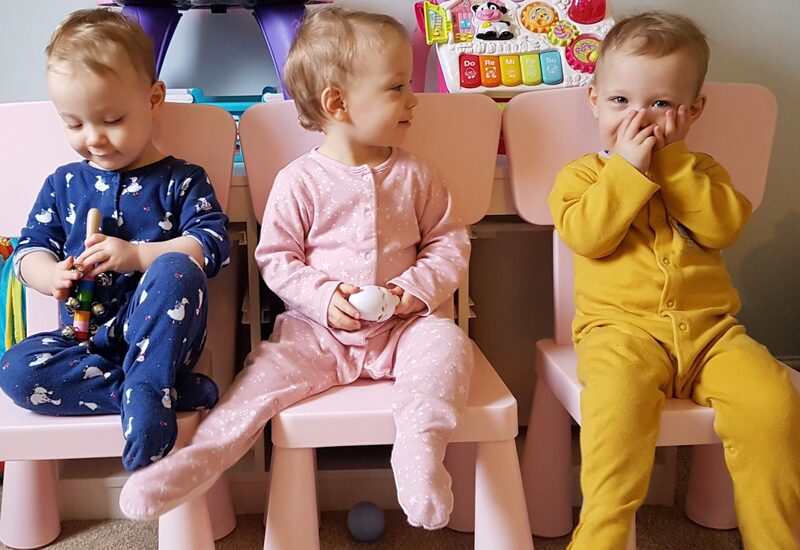 As with everything triplets it was unpredictable how this change would be for them. However on Saturday night they were straight to sleep, which left Stacey, Frankie and myself with a whole free evening. It was nothing short of heaven. We lit sparklers in the garden for our own little fireworks celebration. Then parked up on the sofa with blankets, munch and drinks and watched a movie (another princess one).Completely un-interrupted. Was perfect. It almost Felt for a moment, like the storm was finally moving into the distance. After what we’ve been through this year it was a night taken in gratitude. “sparklers in the back yard” …thats fabulous. Previous Previous post: Enough love to go round?